Today I finally took the new touring bike someplace I haven’t ridden before, so the vibe is good. A decade ago, the State of Texas enabled new toll roads in HB3588, which has provisions for funding adjacent bike commuting pathways. I dislike some provisions of HB3588, which directs funds to bicycle trails but also facilitates conversion of existing state highways and commuter roads into toll roads. Today’s ride from my home in Avery Ranch started as a little spin after a dog walking warmup. Up Parmer / Ronald Reagan Blvd. about a mile, I turned left into Breakaway Park to get away from the noise. Breakaway Park has a private runway with hangers and homes built for a small community of pilots, and has a nice quite residential road around the single runway surrounded by oaks and well – fed deer in many of the yards. – Not many roses however. After turns down Wildlife Run and Adventure Lane, I found myself back at Brushy Creek Blvd. and decided to ride over to the new 183A Toll Road and check out the new bike path. This pathway runs along the east side of 183A from Avery Rancy Blvd to FM1431 (known as Whitestone Blvd in Cedar Park). 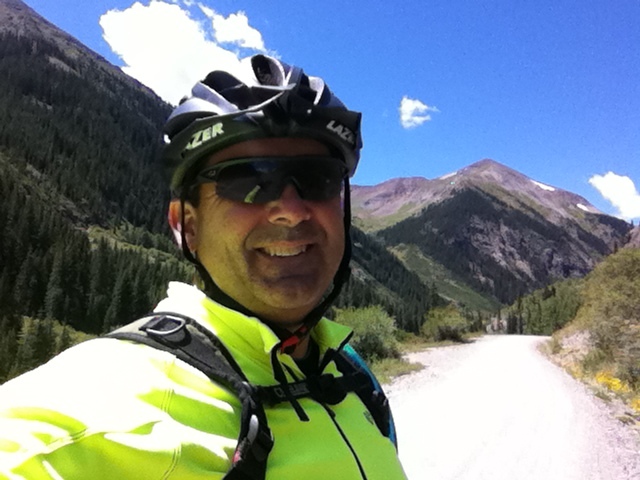 It is a great way to cross town on a bicycle, with minimal intersections or traffic. Kudos to the State Legislature for this new bike path. The path is currently interrupted only by work being done to a small bridge over Brushy Creek at the Brushy Creek Regional Trail intersection. I asked a heavy equipment operator if I could cross the bridge, and he told me “one more week”. I thanked him with a thumbs-up and rode back to Brushy Creek Blvd to reach Parmer and ride to the house. Avery Ranch residents can now ride from home to the Natural Grocer in Cedar Park and back with only a couple of intersections to cross, depending on where they access the trail. Now it’s time to get Cedar Park to paint bike lanes on Brushy Creek Blvd. and a number of other streets, or for a small grocer like Wheatsville or Natural Grocer to open up in Avery Ranch. That would be great for us! Our home is 26 miles from my afternoon j-o-b at Austin’s airport, so I get to meet clients for the ad business in town around mid day before heading out to the “career”. That means lunch at local spots like NeWorlDeli or runs to Costco for cheaper gas on the “meeting” days” when I don’t want to show up sweating in lycra or worse, my camo-print mountain bike shorts. However in Austin, some clients just don’t mind or might show up to give business details wearing their own bicycle wear. That’s what it’s like when you have the lowest-cost ad platform on the planet in one of the world’s coolest little cities. “Cool”; I said, and started checking it out. While drooling isn’t seemly for a 51 year-old the Ozone guy completely understood, and I was offered to ride the bike with it’s huge SURLY “Big Fat Larry” tires. The Moonlander is fun to look at, and more fun to ride than any rigid frame I’ve ever experienced. It is easy to shift up and down, with low-lows and high-high gearing that IS NOT slow on the road. You would be amazed how fast one gets up to “traffic” speed on this bike. Not that you would need a road. 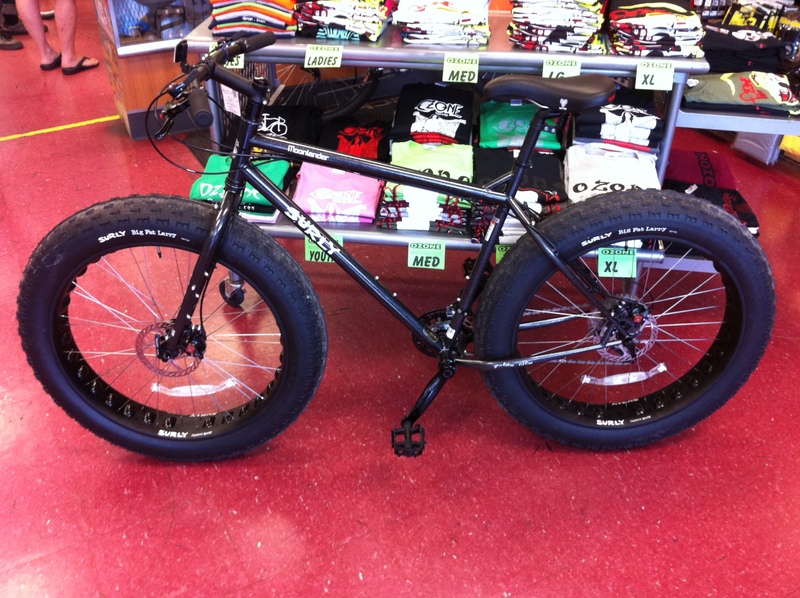 The Big Fat Larry’s are so big and light, you feel like you landed on the moon, regardless of the rigid frame. The wheels have holes to make them light, and feel soft to the touch, as they are made of unobtainium or something from the moon, I guess. Downsides? The price, at $2350 as tagged, might keep some away, but maybe they’ll sell enough Moonlanders that the price will have to drop when another framer decides to get into the ultra-fatty game. I want one. And if you want to be on remote trips, I would caution checking the cost of a few tubes and a spare tire in case you shred one of these behemoths on a broken moon-bottle at Padre Island National Seashore and find yourself 50 miles from civilization. Upsides? Simple, pure, FUN could be the alternate text for the Surly Moonlander. This ride is a lot lighter than it looks, and is the kind of bike I would want to ride on a remote beach tour, or any similar place on the planet . . . . from San Fransisco, Corpus Christi, Los Angeles, Manhattan, Miami, Chicago, or Dallas, … as in, from there to a weekend camping site. Or from a camping site to the mountain top and back, in a cool way, with a big smile. I would like to give a big thanks to the nice helpful folks at Austin’s OZONE Bikes for the test ride. Now back to my touring – bike shopping. 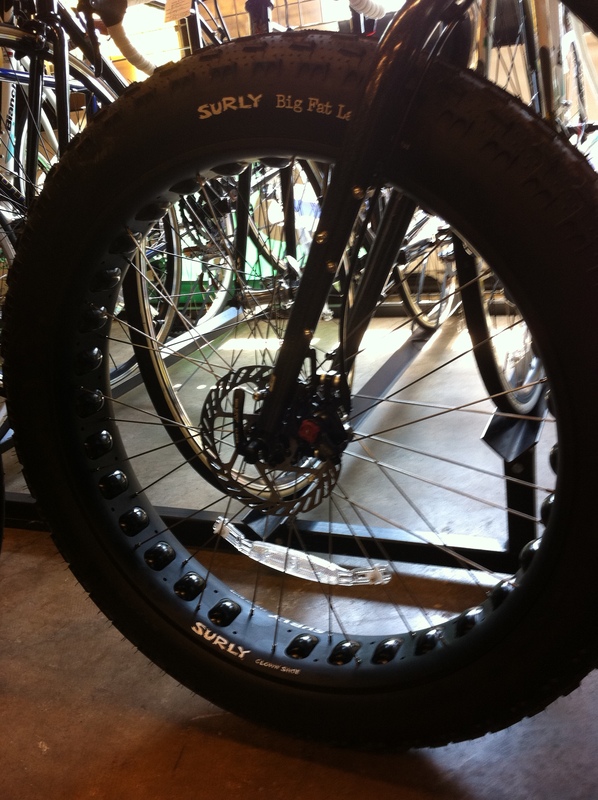 The Surly Disk Trucker is looking good for a review, as well as the Salsa Vaya. Shop locally by shortest distance. Click the image to see bikes for sale. The first trip hasn’t a set date, but several locations are all mapped out around Central Texas. This thing about traveling over many miles on a bicycle has been a “want – to – do” of mine for many years. Why I didn’t do it in my 20’s is beyond me. It’s something you have to do when you have time. And the time between service in the Air Force to an aborted college run to an airline career never amounted to much. Now at 51, I am getting the gear together. Gear that will last a long time, and with which I can use to not only enjoy touring on a bicycle, but tour with a purpose. The bike and gear are a mix of old and new. I bought my Bridgestone RB-2 in 1991. It has seen a few miles, been well maintained and has been upgraded with a Shimano Sora triple crankset and Xero 8-speed rear hub and wheels which work great in Austin’s hills. It is a great commuter bike and feels like an extension of my soul when on the road. I guess the Bridgestone is one of the more satisfying possessions I’ve ever had. For conversion from “Road” to “Touring” bike, I went back to 28c tires from Panasonic. The RB-2 came with 28c tires, but I thought the higher pressure 23c Continentals were great for speedier rides. Now I don’t think they made much of a difference. The new 28’s feel great on the road and under load. The Extrawheel trailer is something new to me. I look forward to my first overnight ride. It will only be 16 miles to the campsite for my shake-down ride, so I can get used to feeling a loaded bike and estimate speeds to be expected on the longer stretches. I’ll be testing some more new products along the way, so I hope you’ll check back soon. – To share the road. To share the load. – To share a smile. To share a mile.